British author Alex Shaw is making a name for himself via a series of thrillers set in and around Ukraine. 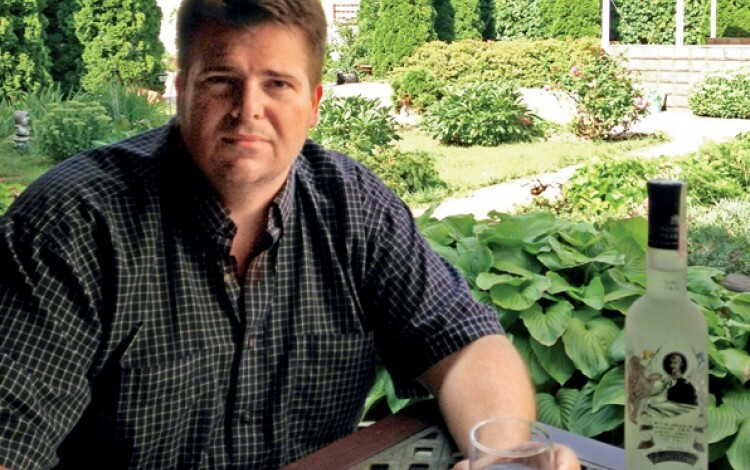 One of the few contemporary English-language writers to feature Ukrainian themes and locations in his fiction, former Kyiv expat Shaw has successfully made the transition from self-publishing to securing a contract with a commercial publishing house, and is currently writing for Endeavour Press. "If at least one reader, after enjoying one of my books, understands the Ukrainian crisis a little more and questions ‘the Kremlin line’, then I’ll be happy"
His novels revolve around the exploits of former SAS member and current British intelligence asset Aidan Snow, typically aided and abetted by veteran Deputy Director of the SBU (Ukrainian Security Service) Gennady Dudka. He predicts that Ukrainian themes are set to enjoy greater exposure in the literary world, and says that rising interest in Ukraine will boost awareness of the country internationally while debunking many of the myths and stereotypes that remain in circulation. Many of your novels involve Ukrainian settings and themes. Does this make your books more or less marketable? Six years ago when I tried to publish my first novel, no one wanted to market a thriller set in Kyiv, so I sold it on the SAS angle. Now, however, Ukraine is more marketable. Euro 2012 raised Ukraine’s profile, and, obviously, the Euromaidan movement showed the world the real heart of the Ukrainian people. Russia’s theft of Crimea and invasion of the Donbas, or ‘Russian aggression’, to be politically correct, has also served to highlight Ukraine further. Literature, however, is always looking for something new. Currently the buzzwords are ‘Nordic Noir’ and ‘Scandi-Brit’ - crime thrillers written and set in Scotland and the Nordic countries. I want to make ‘Ukrainian Noir’ the next big thing. Ukraine is the biggest country in Europe yet hardly anything has been written about it in popular international fiction. I want to change that with my novels and help others to do the same. 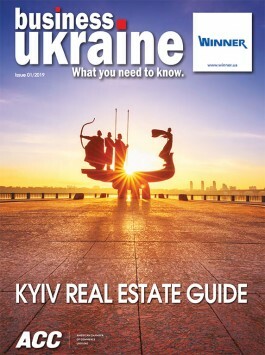 Which Ukrainian themes have generated the most buzz among your readership? As I write crime thrillers, my readers are naturally interested in the corruption angle. In my novels Gennady Dudka is the Director of the SBU’s Anti-Corruption & Organised Crime Directorate and he battles powers without and within the government, usually aiding Aidan Snow in the process. The themes of language and nationality are also popular - I try to make the point that ‘one nation’ and not ‘one language’ is what most Ukrainians want, as I have never seen any real hostility against Russian speakers in Ukraine. I try to show the beauty within the Ukrainian nation, but I don’t ignore reality. Relatively few English-language authors choose Ukrainian settings for their novels. How conscious are you of the fact that your audiences may be encountering Ukraine for the first time through your literature? I’m conscious that many readers bring with them expectations that may rely upon stereotypes of beautiful women, mafia groups and cheap vodka. I mention the fact that Ukrainian women are beautiful (I married the most beautiful one), that criminal gangs exist, and the price of vodka, but I do try to show Ukraine for what it is - a proud European country rich in culture. I hope that at least my books challenge the stereotypes. Ukraine remains relatively unexplored territory in terms of world literature. Which periods in Ukrainian history offer the greatest potential as settings for literary fiction? There is a wealth of source material for literary fiction in the nineteenth and twentieth centuries. Personally, I see the most potential in the recent past and the present day. Ukraine needs to escape Russia’s propaganda shadow and the legacy of the Soviet Union. Fiction can do this without preaching. Has the current conflict in east Ukraine had any impact on demand for literature about this part of the world? Yes, but I don’t think the full impact is visible yet. With the exception of e-books, the world of literature tends to run quite slowly. There will be, I imagine, more books mentioning Ukraine appearing within the next year from the ‘Big Five’ publishing houses. Stephen Leather’s next novel ‘Black Ops’ includes a relative of an MH17 victim in the UK attempting to assassinate Putin, and Steve Konkoly’s new book ‘The Loyal Nine’ has some scenes set in Mariupol. Authors, publishers and readers are always interested when I explain what I write about, and are eager to learn more about the current conflict. Do you plan to include aspects of the current conflict such as Russia’s information war and ‘little green men’ tactics in future novels? Very much so. They are actually integral to my latest novel ‘Cold East’, which was published in April. I’m also setting a novella in the Donbas for Amazon’s ‘Kindle Worlds’. Can you tell us a little about your latest book, Cold East? Cold East is the third Aidan Snow thriller. A terrorist cell has found a missing Soviet ‘suitcase nuke’ and MI6 operative Aidan Snow is sent, with the help of the CIA and the SBU, to stop them from detonating it. The action moves from London to Kyiv, from Moscow to Crimea, and many places in between. I wanted to find a way of taking a classic thriller construct, i.e. a Jihadi terrorist cell, and intertwine this with events in Ukraine, whilst acknowledging the legacy of the Chechen and Georgian conflicts. I didn’t want to be didactic or detract from the salient point of the book, which, after all, is to entertain. What I hoped to achieve was to explain my take on real world events, while shedding light on some lesser-known facts. If at least one reader, after enjoying the book, understands the Ukrainian crisis a little more and questions ‘the Kremlin line’, then I’ll be happy.